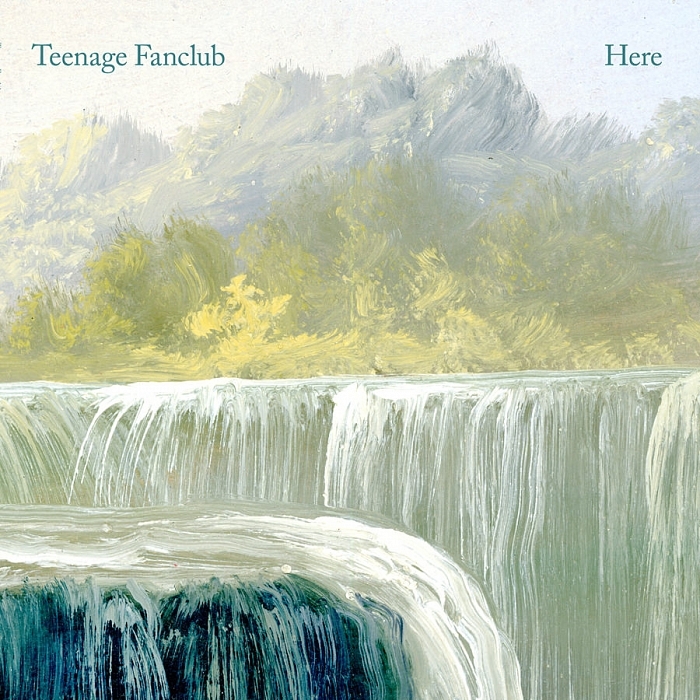 The Scottish group Teenage Fanclub are one of the most iconic acts in all of power pop. The band are experts at crafting the kind of jangly, catchy guitar pop that have endeared them to fans of that genre, but also brought them considerable success in the early ‘90s. In particular, their 1991 album Bandwagonesque deserves its well-earned title as one of the greatest albums of its era. One of the more unique aspects to Teenage Fanclub’s approach to making music is that — much like their contemporaries Sloan — they act as a songwriting collective as much as a band. The group has three lead singer-songwriters – Norman Blake, Gerard Love and Raymond McGinley – who will typically contribute an equal amount of songs per album and perform lead vocals on their own compositions (the band is rounded out by drummer Francis McDonald). The three are all strong songwriters, and their contributions to their latest album Here continue the band’s streak as one of the most consistent in guitar music. Here is their first album since 2010, and the band makes up for for the long gap between albums with an engaging set of songs. Opener “I’m In Love”, a contribution from Norman Blake, is a wide-eye optimistic love song that exemplifies the breezier material that the band has excelled at in their later years. Blake’s other offerings, such as “The Darkest Part of the Night” and the folky “Connected to Life” are wistful, sweet affairs with solid harmonies. Blake also contributes the album’s best song, “Living in the Moment” which feels simultaneously simple and as if it has a thousand moving parts. It’s one of several songs here that echo chamber pop over the spiky power pop that band was known for in the ‘90s. And yet, it’s also the song here that most reflects their best-known material with its shuffling chorus and distorted guitar solo. “With You” is the highlight of Raymond McGinley’s songs, an introspective ballad with sentimental lyrics and terrific organ running throughout. Another of his tunes, “Steady State”, recalls some of Love’s contributions in that they share the same atmospheric mood. Power pop is a genre that is often dominated by the single, but on Here, the band have recorded an album full of songs that often work better together than they do apart. For instance, “I’m in Love” is a natural single, but it doesn’t nearly have the same power as a stand-alone song that it does leading this record off. Every song on the album is a worthy entry to the band’s discography. The album’s heavy reliance on both optimistic love songs and mid-tempo atmospheric mood pieces give it a sense of continuity. Here is a solid collection from one of indie rock’s most consistent bands. The album feels like the logical followup to 2010’s wistful Shadows and continues some of that record’s chamber pop influence. It’s a little lighter and quieter than some of the power-chord heavy records the band put out in the ‘90s, but it’s a strong showing from the Fannies, and a record that will satisfy their devoted following.